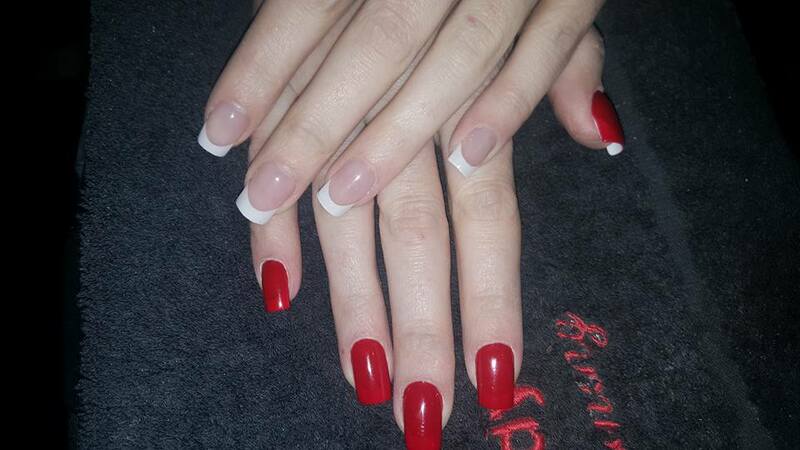 Elaine Moore - 1st Salon Nails Category. Beauty UK Birmingham 22nd May 2016. 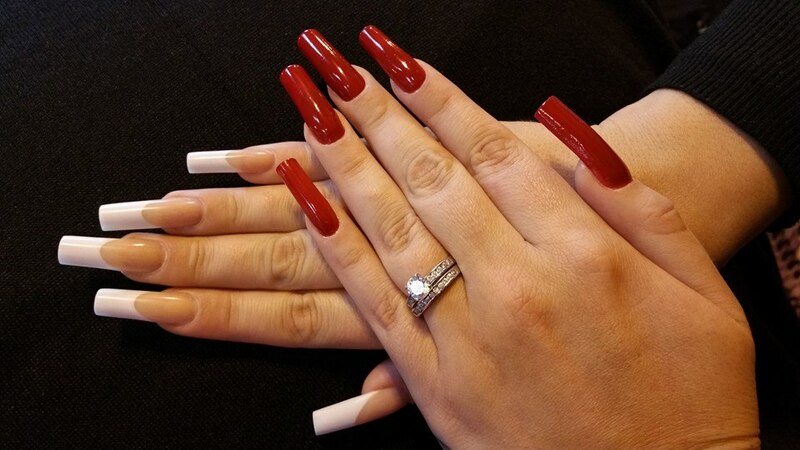 Elaine Moore - 3rd in Top Tech Nails Category. Beauty UK Birmingham 22nd May 2016. Elaine Moore - Beauty UK Scottish Overall Winner 2016. Scottish Hair & Beauty 2016 - Edinburgh. 25th April 2016. 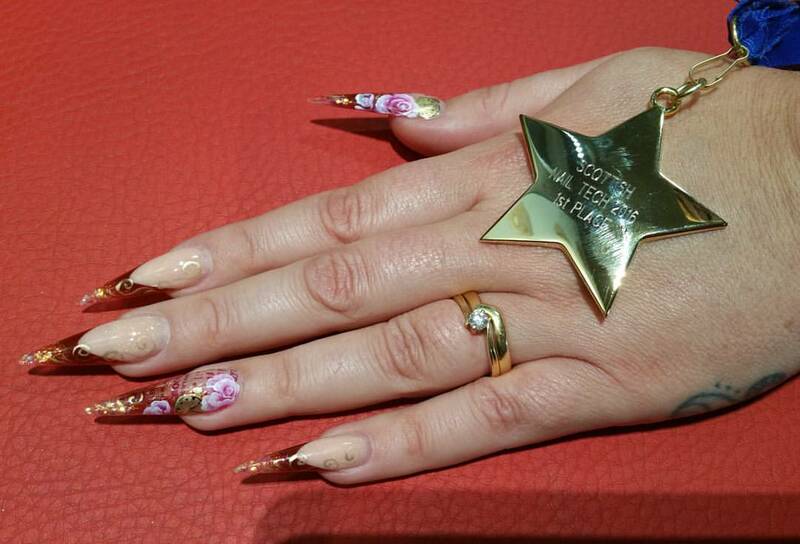 Elaine Moore - 1st place Freestyle Nail Art Category. Scottish Hair & Beauty 2016 - Edinburgh. 25th April 2016. 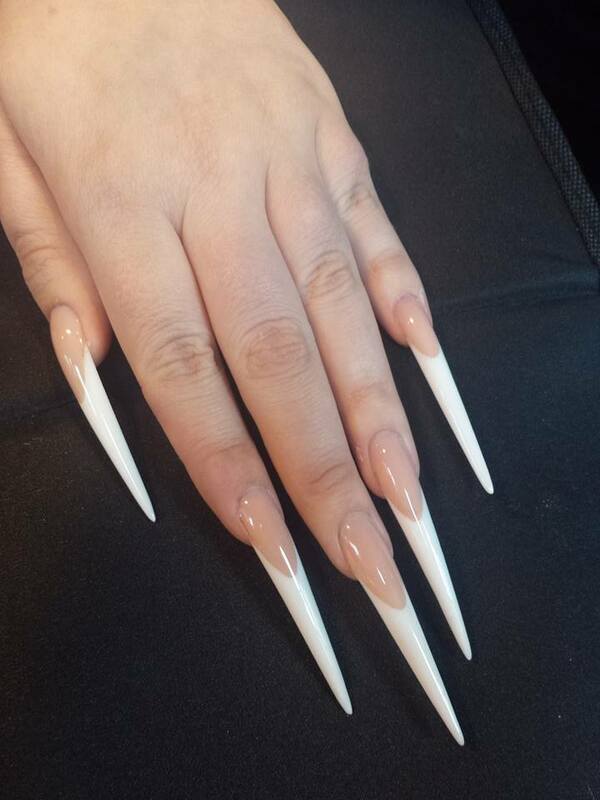 Elaine Moore - 1st place Top Tech Stiletto Nails Category. Scottish Hair & Beauty 2016 - Edinburgh. 25th April 2016. 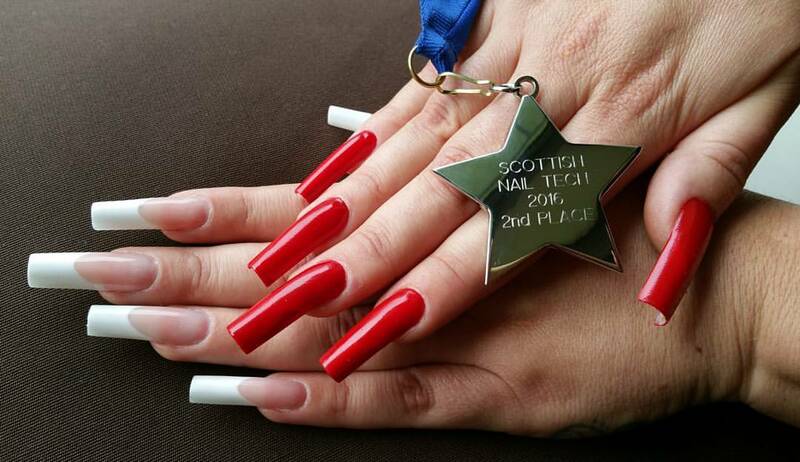 Elaine Moore - 2nd place Top Tech Nails Category. Scottish Hair & Beauty 2016 - Edinburgh. 24th April 2016. 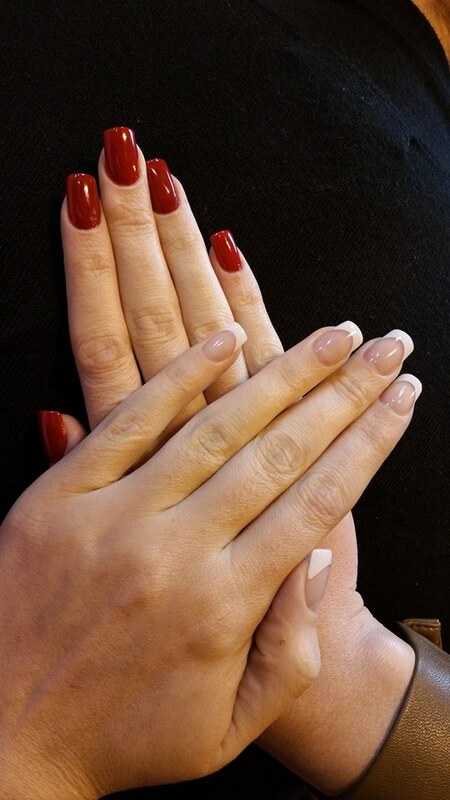 Elaine Moore - 2nd place Salon Nails Category. Scottish Hair & Beauty 2016 - Edinburgh. 24th April 2016. Elaine Moore - 2nd place Classic Photographic Category. Professional Beauty North Manchester. 20th September 2015. 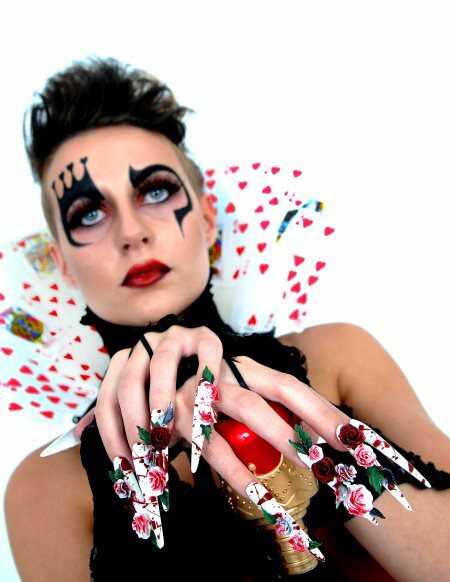 Elaine Moore - 2nd place Top Tech Free Style Nail Art Category. Beauty UK Birmingham. 10th & 11th May 2015. Elaine Moore - 2nd place Top Tech Stiletto Category. Beauty UK Birmingham. 10th & 11th May 2015. 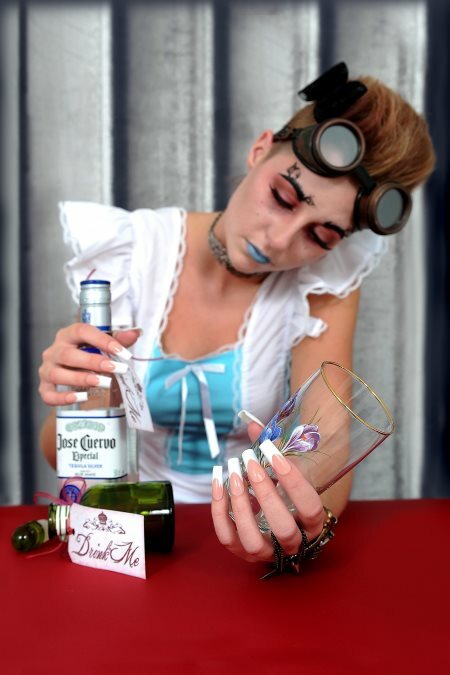 Elaine Moore - 4th place Photographic Nail Art Category. Beauty UK Birmingham. 10th & 11th May 2015. Elaine Moore - 4th place Photographic Classic Category. Beauty UK Birmingham. 10th & 11th May 2015. 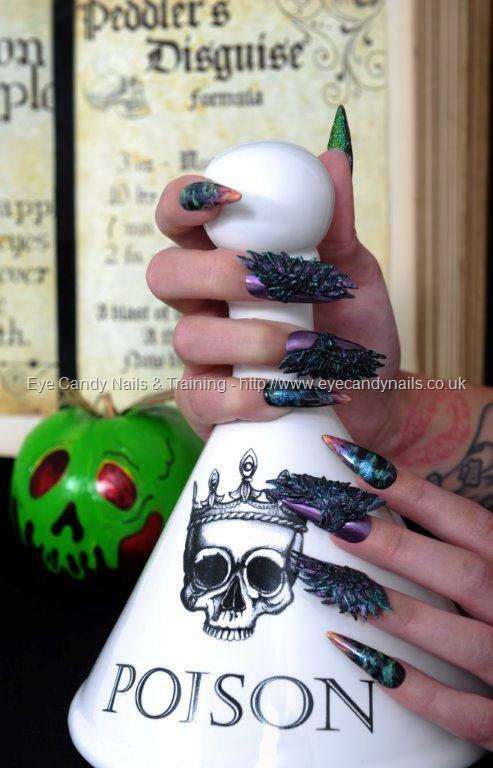 Elaine Moore - 1st place Brillbird Nail Art Competition. Theme - Film And Television. 6th April 2015. Snow White and the poison apple. Black almond shaped gel nails with freehand flame tips and smoke effect nail art. 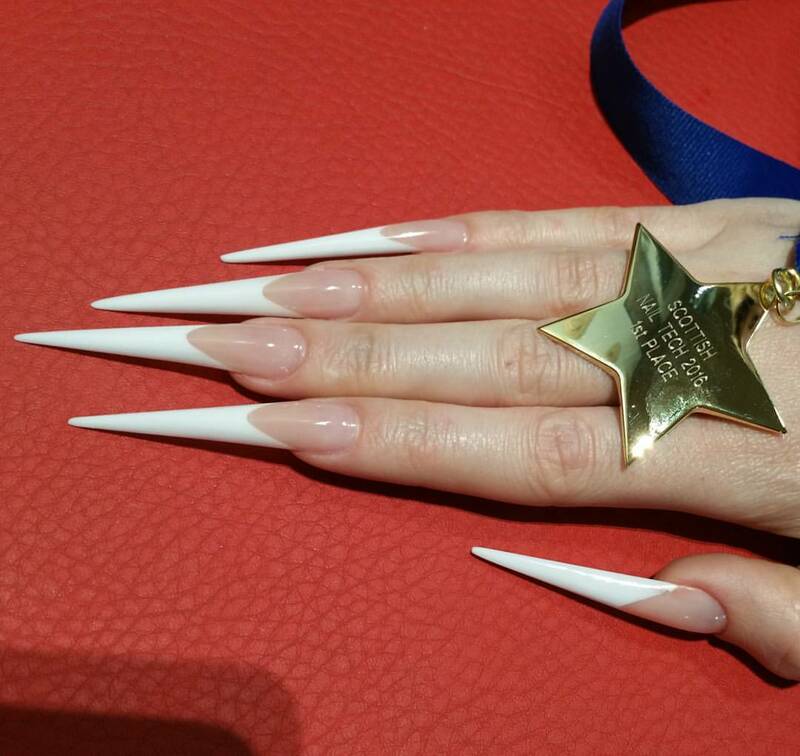 Elaine Moore - 3rd place International Nail Masters. Professional Beauty North, Manchester. 19th & 20th October 2014. Elaine Moore - 4th place Mixed Media Boxed Nail Art. Professional Beauty North, Manchester. 19th & 20th October 2014. Elaine Moore - 4th place Photographic Classic Category. Professional Beauty North, Manchester. 19th & 20th October 2014. 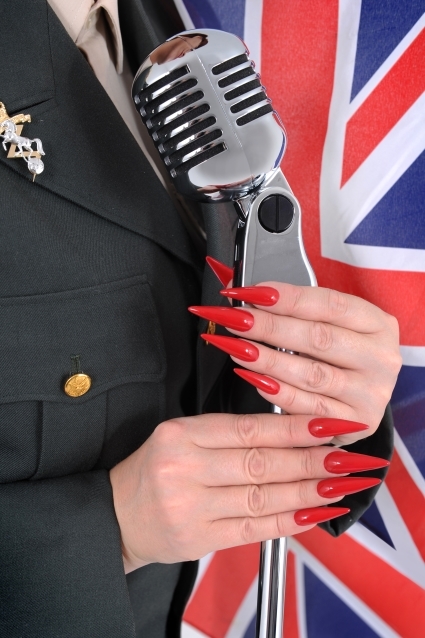 Elaine Moore - 4th place Photographic Nail Art Category. Professional Beauty North, Manchester. 19th & 20th October 2014. Elaine Moore - 1st place Top Tech Newcomer 19th & 20th May 2013 at Beauty UK Birmingham NEC Trophy. Booking Training with Elaine Moore. 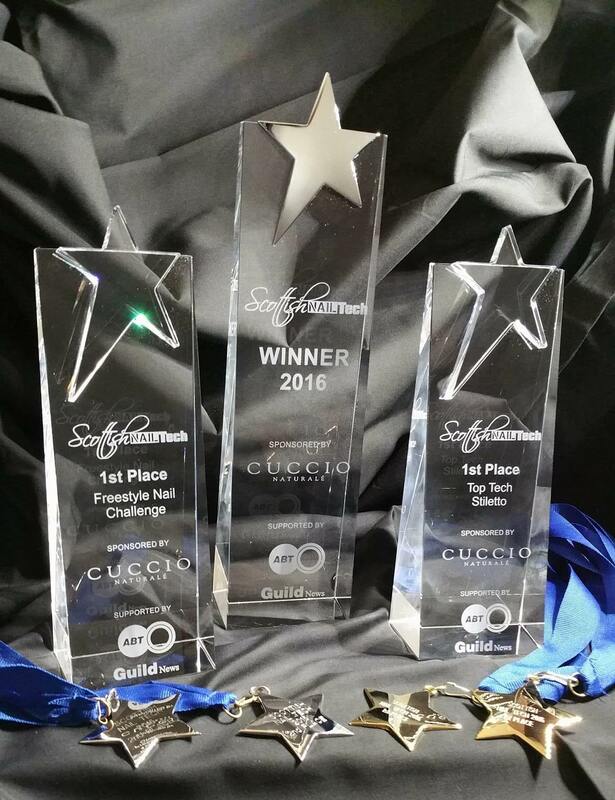 Nicola Senior - 4th place Salon Nails Category. Scottish Hair & Beauty 2016 - Edinburgh. 24th April 2016. 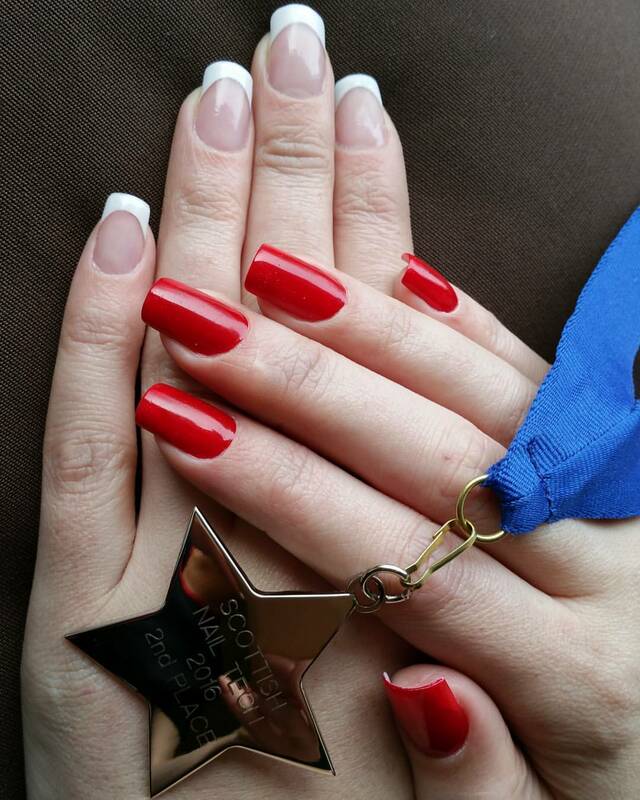 Nicola Senior - 4th place Salon Nail. Beauty UK, Birmingham. 10th & & 11th May 2015. 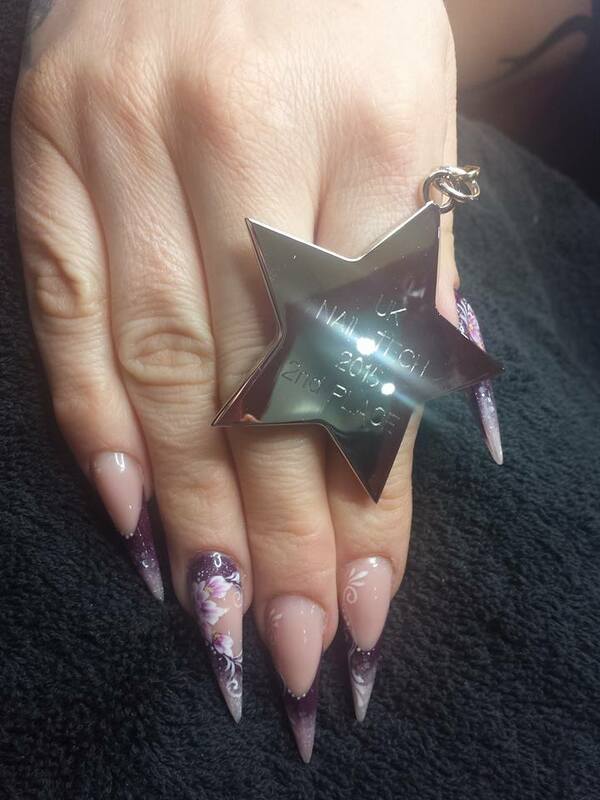 Nicola Senior - 4th place Salon Nail. Professional Beauty North, Manchester. 19th & 20th October 2014.